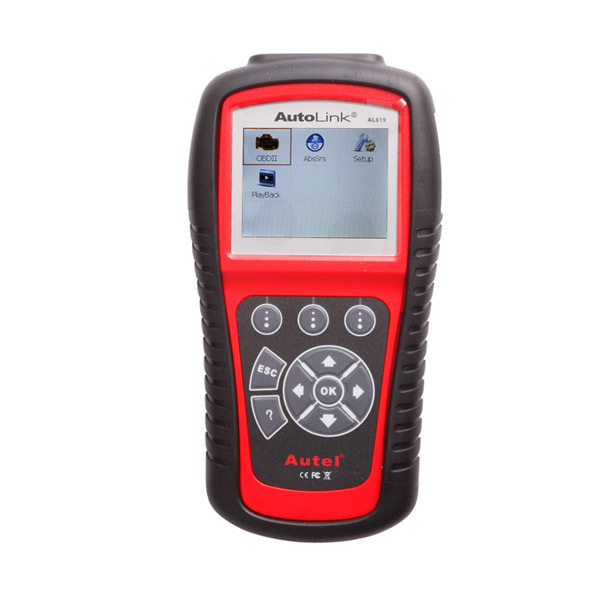 Autel MaxiLink ML629 ABS/SRS/Engine/Transmission + CAN OBDII Scanner is built to help you to determine why the Malfunction Indicator Light or the ABS/SRS warning light is on. Supporting all 10 test modes of OBDII test, ML629 provides you a complete diagnosis. 10. Multilingual support – English, Spanish, French, etc. A wide range of European, US and Asian vehicles are covered by ML629, including GM, Ford, Mazda, Toyota, Lexus, Scion, Suzuki, Peugeot, Citroen, Fiat, Abarth, Lancia, Alfa, Honda, Acura, Subaru, Nissan, Infiniti, Chrysler, Renault, Dacia, Land Rover, Jaguar, VW, Audi, Bugatti, Skoda, Seat, Bentley, Volvo and Porsche, etc. For a detailed vehicle coverage list, please contact our sales support engineer. How to Set Autel ML629 Language? Select "Setup" on the Main Screen, then press the OK button to enter the setup menu. English is the default language and you can use the UP/DOWN scroll button and LEFT/RIGHT scroll button to select Language you want.